ACD Distribution Newsline: Releasing this March from Chaosium! Nearly three-quarters of Australia remains unknown in the 1920s. It is one of the last great wildernesses and a place of secrets and discovery. 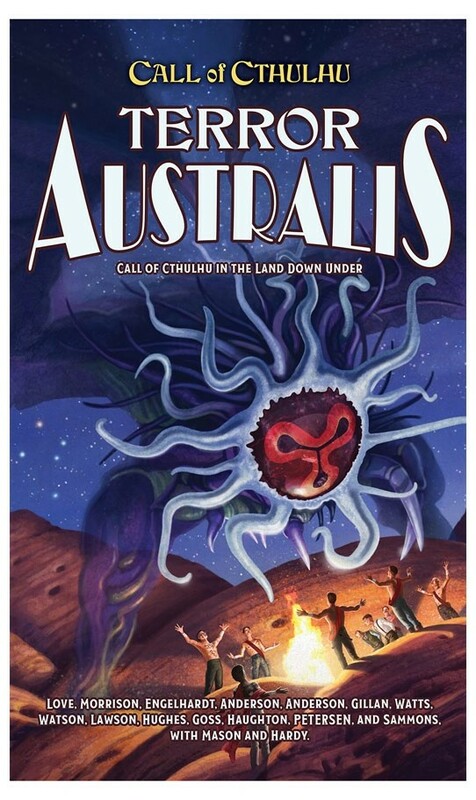 Whether delving into mysteries on the streets of Sydney or mounting an expedition into the remote Outback, Australia is a fertile setting for those investigating the threats of the Cthulhu Mythos. From gang-related crimes and nefarious cults to ancient wisdom and lost cities, there is no shortage of adventure in the Land Down Under. This book provides a history of Australia, detailing both its geography and lore. Rules are presented for Australian investigators, with new skills, as well as mechanics for mounting expeditions. Law enforcement, transport, communications, and other sources provide Keepers with a toolkit of resources. In Australia, investigator will come face-to-face with supernatural forces that have endured for aeons. It is a land of adventure, danger, and ageless wisdom—a perfect for setting for Call of Cthulhu! Adventure into the prehistoric past of our own world. 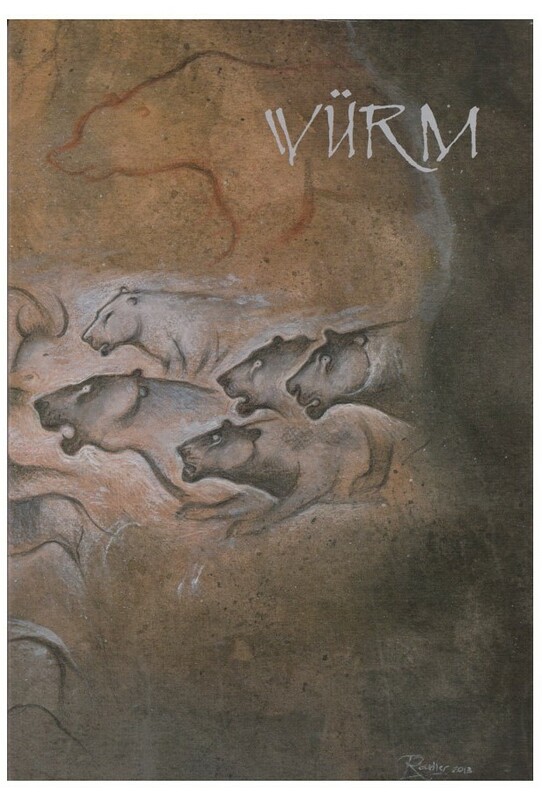 In this long-forgotten time, many powerful creatures roamed a vast territory covered in steppes and taiga, reaching from the white mountains to the raging sea: mammoths, aurochs, bison, giant deer, cave bears and cave lions. Among these huge creatures, two species of humans live in small communities of hunter-gatherers: the robust Bear Men (Neanderthals) and the taller Long Men (Cro-Magnon, or Cavemen). 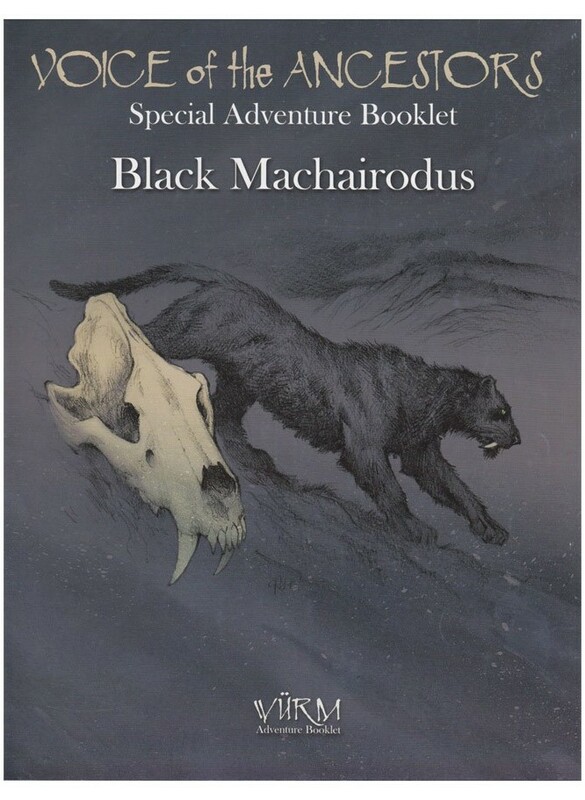 During your adventures, whether simply surviving or going on perilous hunts or legendary quests, your characters will gain strength, wisdom and prestige by exploring unknown territories, daring to enter the darkness of mysterious caves, seeking out the powers of ancient spirits, or challenging the creatures of the night. All the rules you need to play Würm are included in the core rulebook, detailed over nine chapters. These rules were designed to be simple and clear. For the most part, they only require a few 6-sided dice. Characters develop through a number of Strengths and Weaknesses that are connected to specific totems. Additionally, Talents and Secret techniques represent the abilities that a character may learn, such as painting, shamanism or certain combat techniques. Developed to be as close as possible to established archeological sources, the world of Würm also leaves room for a touch of fantasy and adventure. 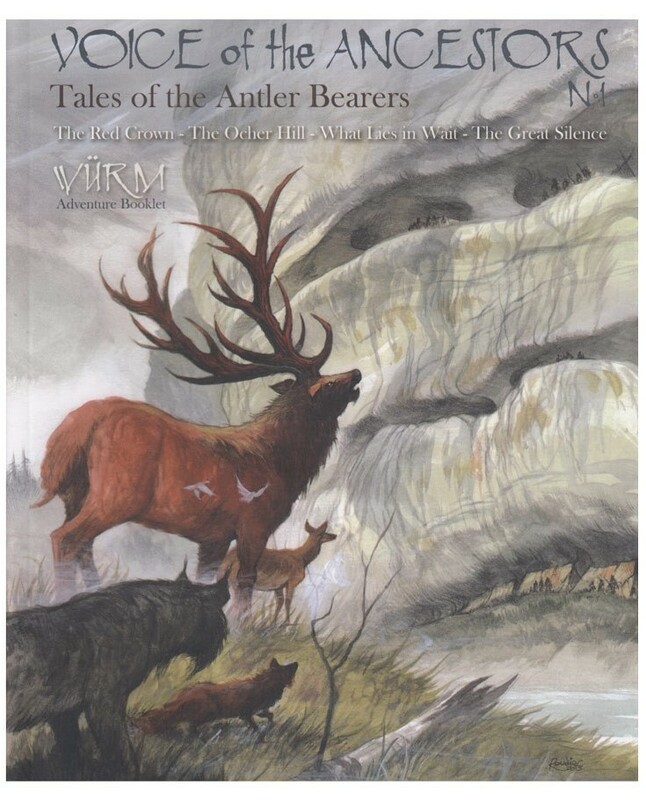 You will find rules for playing with the real powers of totem spirits, as well as a whole range of fantastical creatures living along-side the mammoths and the cave bears, such as fire spirits, witches and glacier giants. The core rulebook includes four introduction scenarios, including one to introduce younger players to the game. The Red Crown is an open scenario in which the characters must navigate the complex intrigues within their own tribe. The Ocher Hill is an initiation scenario designed for both child and adult characters. What Lies in Wait sees a group of Bear-men trying to work with their Long Men neighbors to appease their Guardian Spirit. And The Great Silence is an epic quest wherein the characters battle a dark curse that could well drive them out of their minds. What We Did to Our Forefather introduces a group of child characters to the dark side of their tribe's initiation rituals. Horror in the Deep is a scenario in which the characters must enter a horrifying cave and then find their way out after discovering its dark secrets. 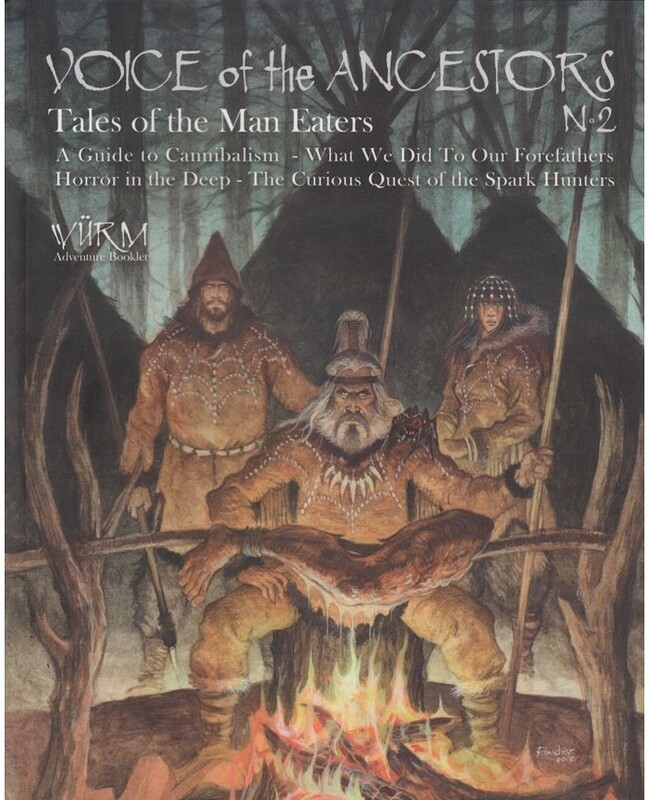 And The Curious Quest of the Spark Hunters is a tragic saga where a tribe of Bear-men must face the terrifying traditions of their Long Men neighbors. 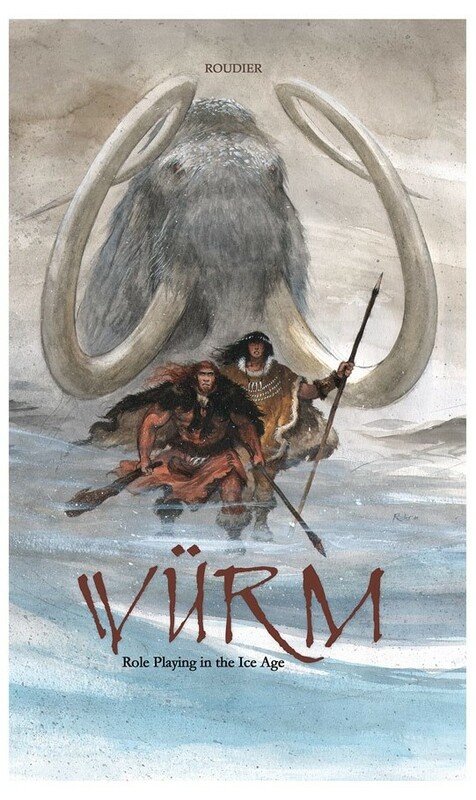 This is the first standalone adventure for your Würm game. The characters are on a mission to source good quality flint when they discover a strange skull with huge canine teeth. From that moment on they are haunted by the Spirit of a long-dead feline, which gives them incredible powers. However, when they return to their camp, the PCs realize that they are all bringing bad luck to their families. Soon the whole clan – or what’s left of it – is begging them to go into exile and find a solution. What is this curse? What if the only people who could help them are the mysterious Bear-men that once lived in this area, before they were driven out long ago? This four-panel, portrait-orientation screen provides all of the useful charts for play. Its beautiful landscape showcases cave paintings to help put the game table in the mood of the game. Made from thick "hardcover book cover" material.